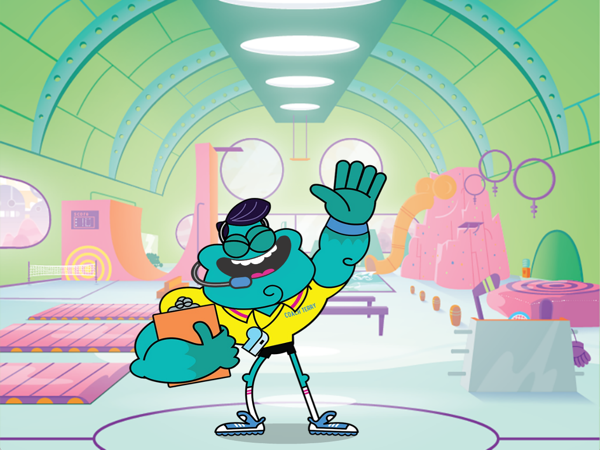 Take a trip to the gym with the GoNoodle Champs and your own personal trainer, Coach Terry! Exercise your body and brain as only Champs can. In this game, you’ll explore health-related trivia and participate in fun exercises that let students flex their muscles, listening skills, AND creativity. You can even add your own custom questions to play with. Ultimate Champ Training is a fun way to explore important health and wellness concepts with students. 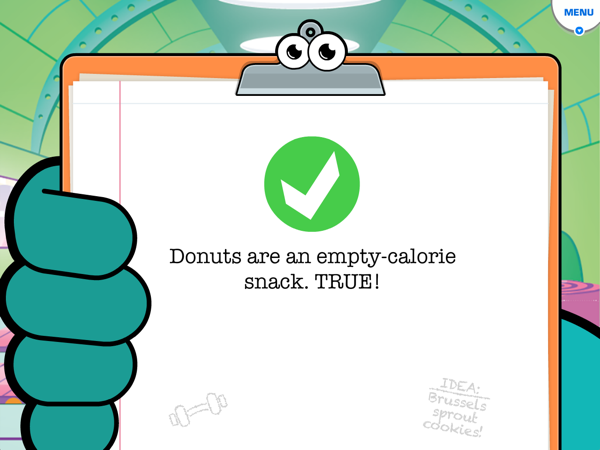 During every session of play, your class must answer a True/False health trivia question before an exercise is performed. 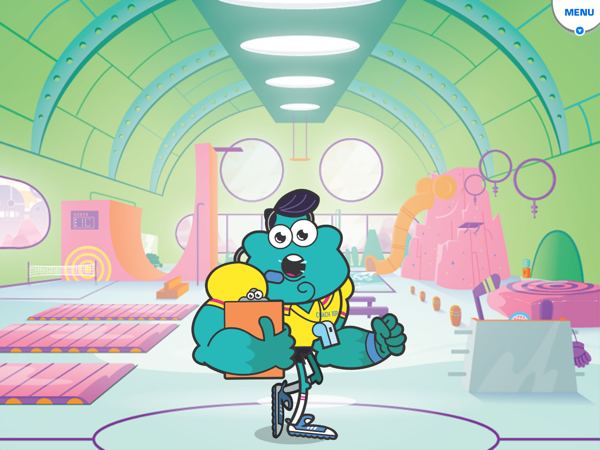 Ultimate Champ Training is only available if you have access to GoNoodle Plus! Learn more about GoNoodle Plus. See which categories are free and which are Plus-only here. Get a quick burst of vigorous exercise anytime. Explore healthy topics via age-appropriate health trivia. Practice listening skills and creative interpretation as you follow Coach Terry’s instructions. As part of any health lesson. Ultimate Champ Training does not work on mobile devices or tablets at this time. This activity can only be played when using a desktop or laptop computer. Exploring important facts about health is a perfect way to start a discussion with students about how they can live a healthier lifestyle. Taking a few minutes for fun and vigorous physical activity can help you create a vibrant classroom culture. Listening is an important soft skill, and practice makes perfect! Ultimate Champ Training is a vigorous physical activity experience that your whole class plays together. When playing, students simply follow Coach Terry’s instruction; first jog in place to warm up, then answer a health-related trivia question, then exercise by listening closely and interpreting that direction! Repeat until your workout session ends! Choose the question category you’ll play in this session. Choose the duration of this session. Run in place and follow Coach Terry’s instruction. When a question appears on the screen, have students (or a single student) call the answer out loud. Select the correct answer. Follow along with the exercise by listening closely to the voiceover and interpreting the direction with your body! Repeat steps 7 and 8 until the end of your session. You can customize Ultimate Champ Training with your own custom question sets. Playing with custom content opens up the game to infinite options. On the game mode page, click My Questions. Select your question set from the list of available sets. The game presents all sets currently available in your account. Note that if you have more than 6 question sets, you can click the arrow buttons to see more. The Creating and Managing Question Sets support article has more information. 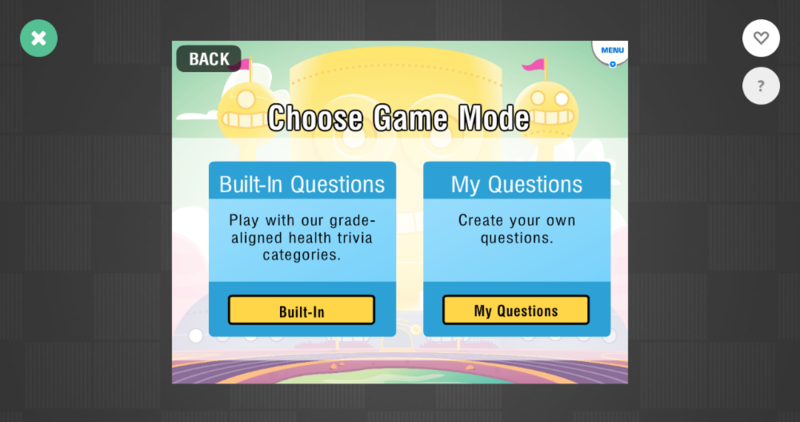 The trivia questions are not intended as a “test” of student knowledge; it is not required that students study health prior to playing the game. The health trivia in Ultimate Champ Training is intended as a way to to introduce concepts, reinforce what students should already know, and encourage a more meaningful conversation about health. When you open Ultimate Champ Training, you’ll choose your mode of play. Click Play to play the game using the built-in health questions. When you click Play, you will choose three settings that will determine how the game works. Select your grade level. This determines the challenge level of the questions presented to your class. Select the categories of questions you’d like to use in this play session. See About the Health Trivia Content in Ultimate Champ Training for more information about the categories. You can choose one or more categories; the questions in the game are drawn randomly based on the selected categories. Choose how long you wish to play. You can choose a 2, 4, 6, 8, or 10 minute session. 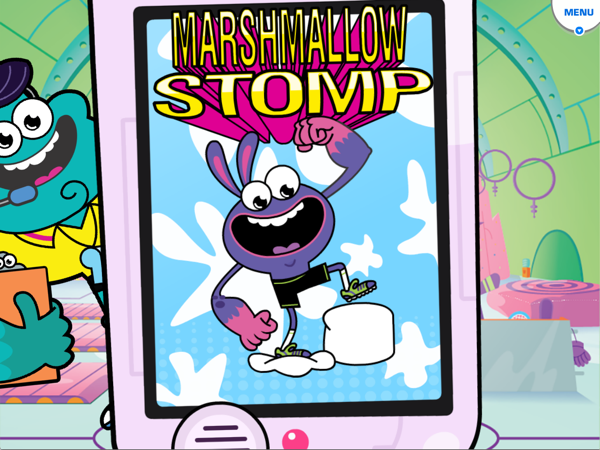 When your session begins, Coach Terry will appear on the screen and ask students to jog in place as a warm up. Coach Terry will then ask a question. You may choose to read the question aloud, or let students read the question. The class will then answer. Have students continue jogging in place and answer aloud. Before playing, you should set an expectation with your class about how answering will be managed inside your class: you may wish to ask students to answer in unison, or you may elect to select a student to answer. Click the answer your students selected. If the question was answered correctly, you’ll proceed to the exercise. If the question was answered incorrectly, you’ll receive a new question. You must answer a question correctly to access an exercise. Coach Terry will then lead the class in a unique exercise. There are 30 possible exercises in the game; each session will give you a random assortment of exercises. Encourage students to listen closely to Coach Terry’s direction and use their imaginations in interpreting his directions! Step 6: Repeat until session end. When the exercise ends, students should jog in place again while Coach Terry asks another question. Ultimate Champ Training will continue to present new questions and exercises for the duration you selected during setup. Once that duration has passed, the game will end as soon as possible, without interrupting a question or exercise. Step 7: High five and review summary. When the session ends, Coach Terry will encourage students to high-five a partner. He’ll then present a summary of the play session.